The 5000 Poppies Project is Complete! 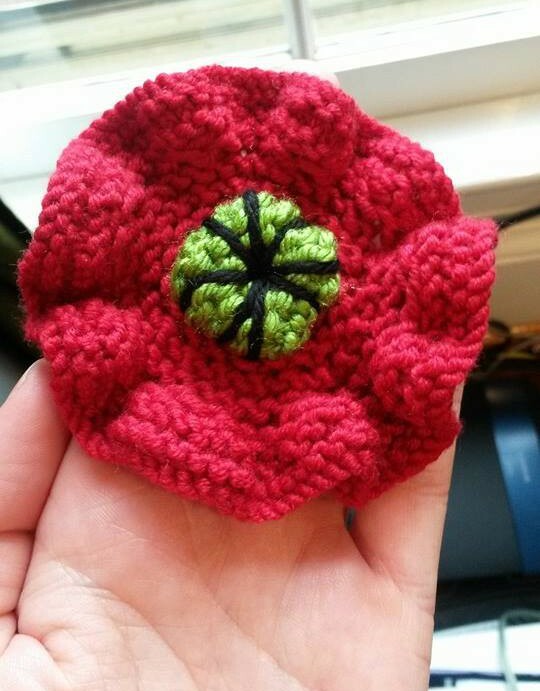 You may remember I crocheted a red poppy in memory of my Great Grandfather, to donate to the 5000 Poppies Project for the 100th anniversary of the ANZAC Day landings in WWI. I blogged about it here. 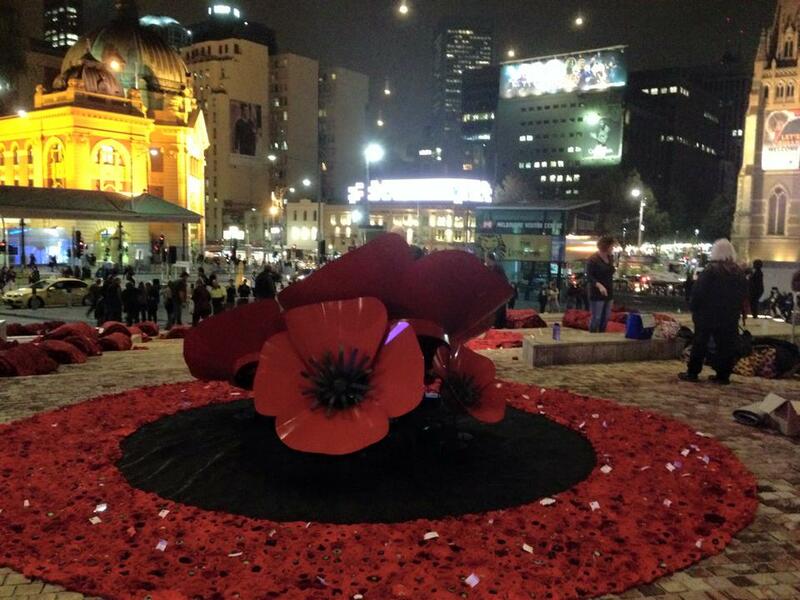 My little poppy winged its way to Melbourne months ago and was incorporated into the art piece known as 5000 Poppies, now installed at Melbourne’s Federation Square. When the organisers originally started this project 2 years ago they were hoping to collect 5000 Poppies to display, thinking that was a super ambitious number. Guess how many poppies it takes to produce a result like this? By the end they had received over 250,000 (!!) 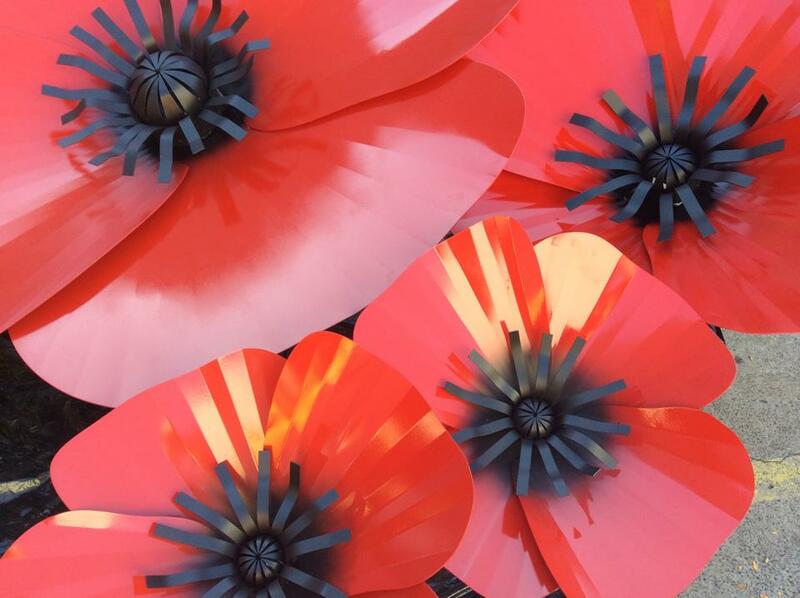 handmade poppies created by over 30,000 individuals from all over the world! An extraordinary example of community organising that has beautifully found the sweet spot between the emotional, remembering the fallen and those who have served – and the practical, that knitting and crocheting poppies is easy enough for just about anyone to do so participation was easy and high. It turns out that 250,000 handmade poppies creates over 800 square metres (that’s over 8600 sq ft, for those who still use the old money) of poppies! 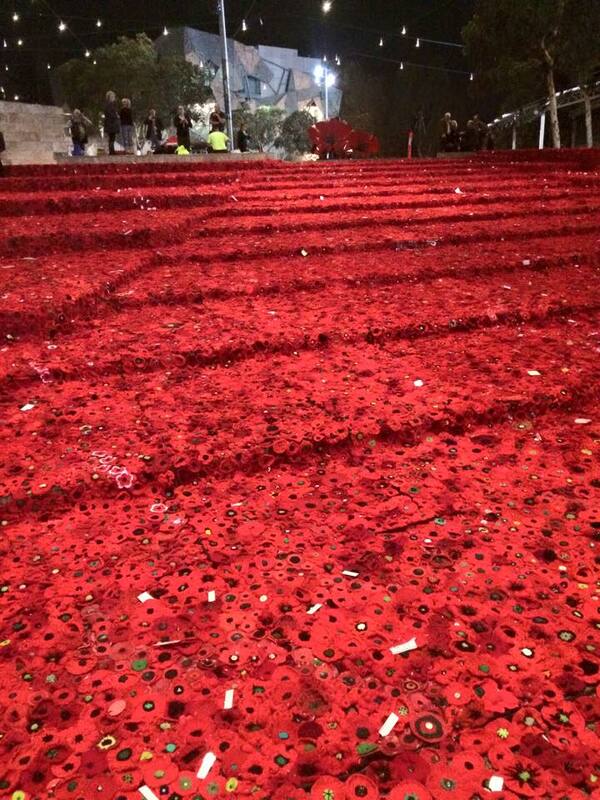 A true ‘Field of Poppies’, which was, after all, the actual point of the exercise. Many have dedications attached to them. I wish I had thought to do that. I particularly love this amazing sculpture created by a local, Melbournian metal fabrication plant, Uniweld Engineering, under the direction of artist Adrian Egglestone: entitled GRATITUDE. Stunning. I don’t know why but I can’t get the video feed to link right now. To see some video footage to get a true appreciation of the scale click here for link to SBS News’ footage. And here for some newspaper coverage. 5000 Poppies will be on display in Federation Square, Melbourne, from Thursday April 23 – Sunday April 26 after which it is starting a national tour around the country. So glad I could participate in such an extraordinary event. Lovely post! What an amazing event. Thank you. Yes, it has been amazing to watch the whole project grow and grow and grow into this final incredible installation. Just. Awesome. Congratulations to you for your part in this moving display! Lest we forget. Thank you. My contribution was very small but it felt good to be a part of such an impactful piece. I have shivers reading your post. Still feeling a little emotional after ANZAC day. So many stories. Everyone has a story to share. What a wonderful tribute to such an important day. I was thinking of you yesterday, wondering if you were feeling homesick on such a big day for Australia. Thankyou for your post – so heartfelt and inspiring. Yes, I do feel a little adrift and something of an Aussie island on days like Anzac Day. But I’m so grateful to have the Internet and the ability to easily keep up with all the happenings going on at home these days – Very different to the snail mail I used to rely on when I first started traveling some 20+ years ago (am I really that old??). I’ll be interested to see if knitted and crocheted poppies become a regular sight at Anzac Day and Rememberance Days in years to come. I hope so.